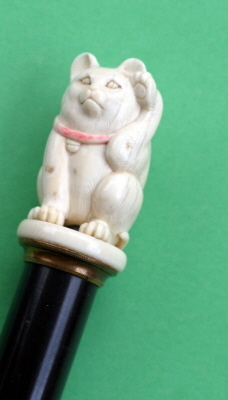 A lovely study of a cat carved from ivory. Mounted on hardwood shaft and finished with base horn ferrule. The cane is in lovely condition- free from breaks or cracks.